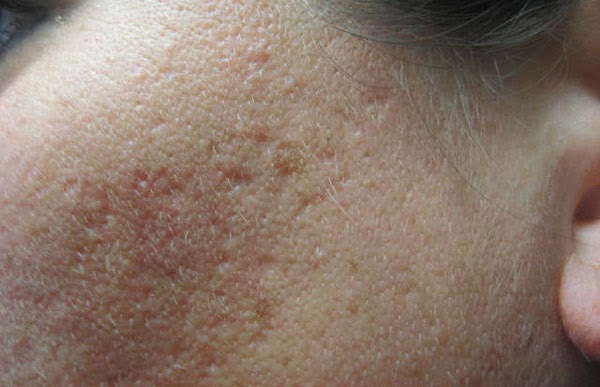 Acne scars or acne after marks are formed when acne gets popped or broken, don't heal properly and leave behind a layer of damaged skin, such conditions result in the formation of ugly acne scars. Although acne scars are not dangerous, not even a threat to any skin disease but decrease your facial beauty and may lower your self confidence. To reduce the appearance of acne scars you don't need to spend a lot of money on expensive creams or lotions because here we have best natural beauty tips to reduce acne scars. Olive oil is truly a miracle substance. It not only make your food taste better, it also improves the condition of your skin and reduces your acne scars. Massage the oil on affected parts of your skin every day. It has moisturizing properties that soften the texture of your skin and reduce the appearance of your acne scars. Lemon juice is also very helpful in reducing the appearance of acne scars. Apply the lemon juice directly on your acne scars using a cotton ball. Let your skin soak up the lemon juice for a while before washing it off with water. Lemon juice improves the appearance of dark acne scars and blemishes by lightening them. A mixture of sandalwood powder and rosewater can be used as a facial mask to cure acne scars. Apply this mixture directly on the scarred area. Leave the paste on at least for half an hour and then wash off completely with water. This is an effective method to naturally treat acne scar. Application of Lavender oil on acne scars can revitalize the skin since it has many regenerative properties. Regular application of lavender oil will show you an excellent result within few days. Aloe Vera is also very effective to cure acne scars. The Aloe Vera plants are famous for their magically ability to help heal scars and wounds. The juice of the Aloe Vera is very useful for helping to heal acne scars as well as to fight breakouts when they do occur. By applying the juice on a regular basis, you can erase the signs of bad acne even within few days. A mixture of cucumber and lemon juice is also very effective to cure acne scars. Take 1 tablespoon of cucumber pulp and add few drops of lemon juice. Apply this mixture on affected areas and then rinse off after 15 minutes. Fenugreek paste is also very helpful to cure acne scars. You can make a paste out of fenugreek leaves and use it as a face mask. Let it stay at least for half an hour and then rinse off. You can also boil Fenugreek seeds in water and use the solution on acne scars after it cools down. Tomato pulp is also very helpful in reducing the appearance of acne scars. Tomatoes have a high water content and help hydrate the skin. Tomato also contain high amounts of Vitamin A, which can rejuvenate skin and help grow new, unscarred skin. You can directly apply the pulp to your face, focusing on areas with acne scarring. After an hour passes, rinse the tomato pulp off with lukewarm water. Tea tree oil is also considered very effective in reducing acne scars. This oil not only heals acne scars but also prevents outbreaks from occurring. Make a mixture of tea tree oil and water in 1:1 ratio. Apply this mixture on affected areas at least for half an hour and then rinse off. For best results repeat this twice a day on a daily basis. Mix 1 teaspoon of turmeric powder with 1 tablespoon of mint juice and apply this mixture to your acne scars. Leave this on at least for 20 minutes and wash with lukewarm water. Turmeric has anti-bacterial properties and mint has healing properties. Therefore, your acne marks will heal very fast. Papaya juice is also very effective in reducing the appearance of acne scars. Apply fresh papaya juice on your acne marks and leave it on at least for 20 minutes and then rinse off. Honey is antibacterial and helps a lot to get rid of skin blemishes. To enhance the effect of honey you can also add some cinnamon powder. Mix 1/2 teaspoon of cinnamon powder with 1 tablespoon of honey and apply this mixture on acne scars. Leave it for an hour and then wash off with lukewarm water. To heal acne scars, take 1 tablespoon of dried orange peel powder and mix with enough water to make a thick paste and apply this paste to affected areas and leave at least for half an hour and then wash off with lukewarm water. A mixture of lemon juice and honey is also very effective in getting rid of acne marks. Take equal amounts of lemon juice and honey and apply this mixture to affected areas at least for 30 minutes and then wash off with lukewarm water. Yogurt not only help to remove impurities from the skin and lighten the complexion but also helps a lot to cure acne scars. Plain, sugar-free yogurt is best for getting rid of acne scars. To enhance the affect of yogurt you can add some turmeric powder. Take 1 tablespoon of yogurt and mix with 1/2 teaspoon of turmeric powder. Just spread the mixture on the affected areas of your face and leave it on for about 15 minutes and then wash off.